We all need pencils from time to time. Whether it is for work, school, or home, you need a dependable mechanical pencil that won’t break. We’ve found some of the very best mechanical pencils out there, so you can get the best value for your money. A mechanical pencil has a plastic or metal case and a thin, replaceable core. This allows you to affordably refill the pencil with lead refills. Once the lead has worn away or become dull, you can simply extend the lead point to expose a sharp, precise point. They never need sharpening and won’t change shape or balance as they are used (unlike wooden pencils). Mechanical pencils can provide a great investment because the lead and eraser can be refilled with affordable refills. They are available in all different sizes and designs, so you can choose the best one for your writing comfort. 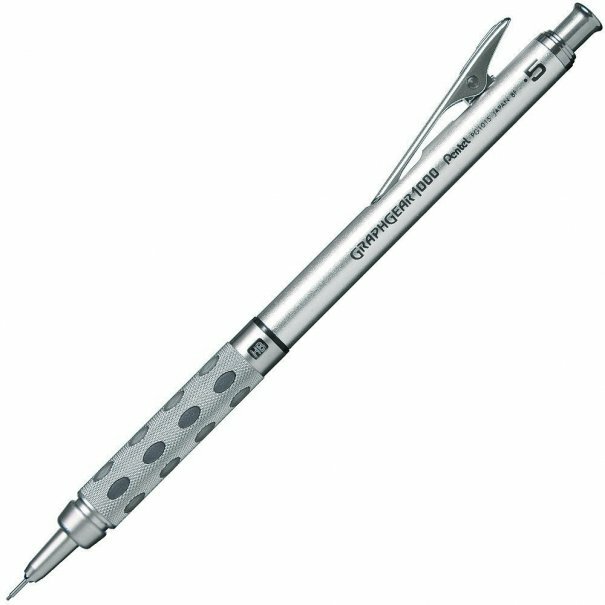 You likely won’t find a better mechanical pencil than the Pentel Graph Gear 1000 Automatic Drafting Pencil. This commonly recommended mechanical pencil is well balanced and has a textured metal barrel above the grip that resembles a surgeon’s tool and is easy to hold, so you have more control over the pencil. The chiseled metallic grip has soft latex-free pads inlaid throughout so it feels more comfortable and can reduce writing fatigue. The break-resistant, super hi-polymer 0.5mm lead is the bestselling lead in the world because it doesn’t need sharpening, remains strong, and produces a precise, dark line. The dual-action retractor advances and retracts the tip to protect the lead. It also has a built-in lead hardness indicator and dual-function pocket clip that releases a heavy spring mechanism to retract the tip. This pencil is tough and reliable, so it should last you a long time. It was compared to nearly every other mechanical pencil on the market and came out on top. It is one of Amazon’s bestsellers and one of the “most wished for” items on Amazon. It is also backed by more than 1,100 five-star reviews on Amazon and recommended by Dave’s Mechanical Pencils, The Wirecutter, OfficeSupplyGeek, and CultPens. It is also commonly compared to the wildly popular rOtring 600 Mechanical Pencil, 0.5 mm. 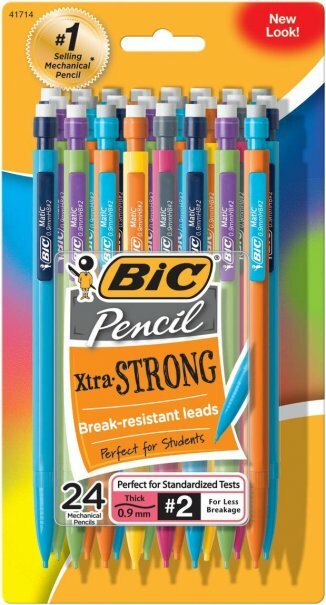 If you’re looking for dependable thick lead pencils, then the BIC Pencils Xtra Strong are right for you. The thick, strong 0.9 mm lead reduces breakage and delivers a smooth writing experience. The shatter and splinter resistant, unbreakable lead also makes them ideal for writers who tend to hold the pencil tightly or press down hard on the page. This large pack of 24 #2 mechanical pencils have assorted colorful barrels, so you can find the right one for your personal preferences. Each pencil includes three full length leads per pencil, which provides a write-out equivalent to 2.5 wooden pencils, providing a great value. BIC makes the #1 best selling mechanical pencils. These are also Amazon’s #1 best seller in mechanical pencils and one of the “most wished for” items on Amazon. They also have more than 700 five-star reviews on Amazon and are commonly recommended for students. For some extra pizazz, consider the BIC Pencil Xtra Sparkle, which is an Amazon bestseller and on Amazon’s college checklist. If you want a pencil that always has a perfectly sharp point, consider the uni-ball KuruToga Mechanical Pencil. The attractive black and blue pencil has an exclusive, carefully engineered design. 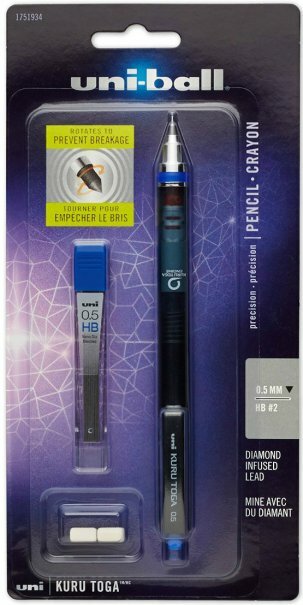 It features a twist and turn mechanism that can rotate the lead automatically when you lift the pencil, so you always have a sharp point. The diamond infused lead is stronger, so it can easily reduce lead breakage, maintain the perfect cone shape, and create precise, vivid lines with reduced lead dull spots. This starter set comes with two eraser refills and extra lead, making it a great value. It is one of Amazon’s bestsellers and one of the “most wished for” items on Amazon. It also has more than 500 five-star reviews on Amazon and is recommended by Dave’s Mechanical Pencil, Lifehacker, Gizmodo, The Wirecutter, OfficeSupplyGeek, the Pen Addict, CoolTools, Wired, and JetPens. The Paper Mate Clear Tip Mechanical Pencil will allow you to create precise lines. It has the feel and distinctive design of a pen, but the performance of a pencil. The retractable pencil has a comfortable, over-molded, non-slip grip for added control. It also has a translucent barrel and visible lead supply, so you’ll know before it runs out of lead. It also has a pocket clip, so you can easily carry it around with you. The side click advance button will help you advance the lead while you are writing, without letting go of the pencil. The jumbo twist-up eraser easily advances and retracts, so you can make mistakes with no messy residue. The colors will vary, so you won’t be able to pick which two colored barrels you’ll receive. The starter set includes two #2 pencils, two eraser refills, and 12 0.7mm leads. It is one of Amazon’s bestsellers and has exceptional online reviews. In fact, most reviewers agree that it is love at first use. The Pentel Twist-Erase III Automatic Pencil has a large barrel and soft, smooth, latex-free, ergonomic grip, so you can write comfortably with less writing fatigue. It features a long, twist-up latex-free eraser that is larger than most other pencil erasers, so you can feel free to make errors. You can also erase without fear of smudges, paper tears, or ghost streaks. The break resistant, super hi-polymer HB 0.7mm lead is the bestselling lead in the world because it doesn’t need sharpening, remains strong, and produces a precise, dark line. The protective tip design stabilizes the lead to reduce breakage. The colors will vary, so you won’t be able to pick whether you receive the black/black or black/red color barrel combinations. The set includes two #2 pencils and two eraser refills. These dependable pencils are one of Amazon’s bestsellers and the lead refills are Amazon’s #1 bestselling refills. They are also recommended by The Wirecutter and JetPens. Many reviewers also found that they can keep the same pencil for years by just replacing the lead and eraser with refills, so you can count on these lasting a very long time. If you’re looking for something fancier, try the Pentel Sharp Kerry Mechanical Pencil, 0.50 mm, Metallic Black Barrel. 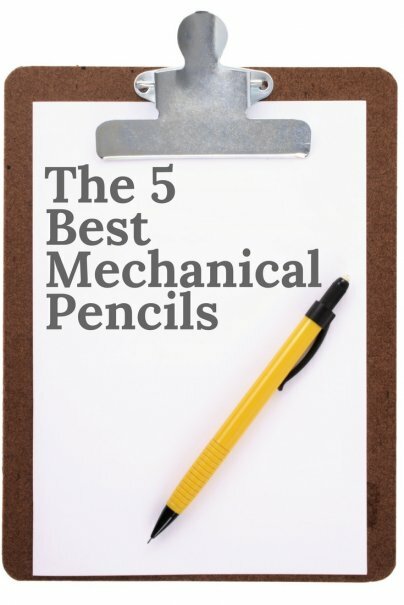 And those are our recommendations for the best mechanical pencils. As always, be sure to check Wise Bread's Buying Calendar to learn when and how to buy just about anything!